TORRANCE, Calif. — Mystic Mac’s predictions are starting to get a little repetitive. Maybe that’s what a 13-second knockout of one of the best pound-for-pound fighters in the world will do. Conor McGregor predicted that he will finish Nate Diaz via knockout before the end of the first round at a UFC 196 press conference Wednesday here at UFC Gym. The two will fight in the main event of the card March 5 in Las Vegas. Diaz was only installed into this fight Tuesday. 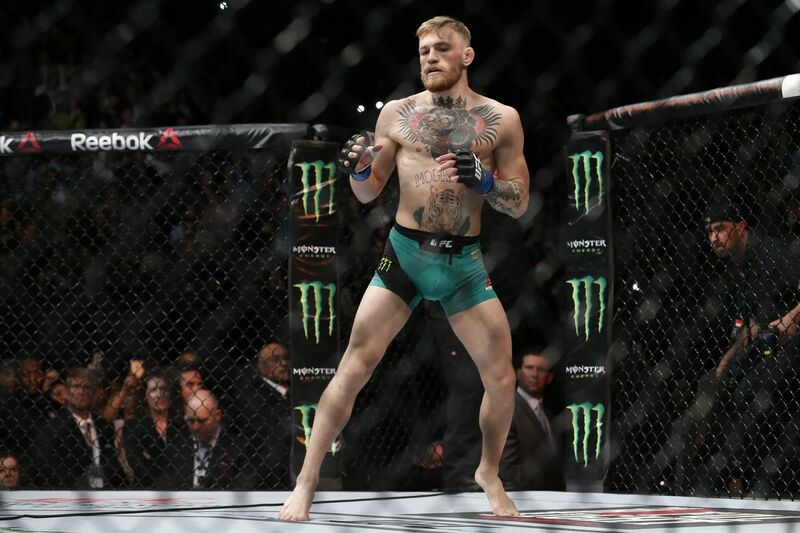 McGregor, the UFC featherweight champion, was supposed to fight Rafael dos Anjos for the lightweight title, but dos Anjos broke his foot and was forced out. Diaz was McGregor’s top pick and it’s obvious he’s someone “The Notorious” has thought about facing. That was the same prediction McGregor made for dos Anjos at a press conference last month. He predicted he would knock out Aldo in the first round and did so. Pretty much all of his other prognostications came to fruition as well, including a second-round knockout of Chad Mendes and a first-round KO of Dustin Poirier. McGregor (19-2) seems to know a great deal about Diaz, even though the booking of this fight was less than 24 hours old when the press conference occurred. Diaz is coming off an impressive unanimous decision win over Michael Johnson at UFC on FOX 17 in December.